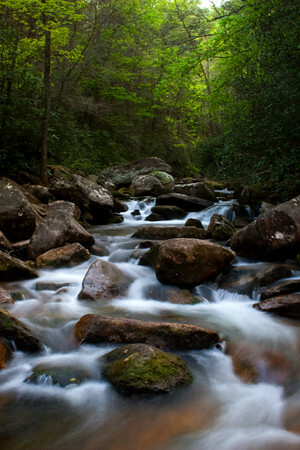 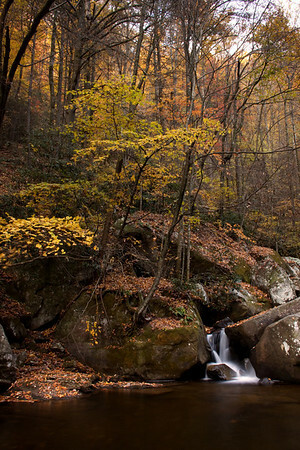 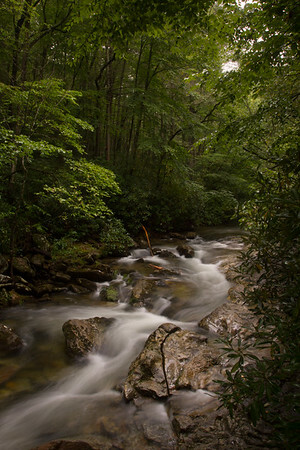 South Mountain State Park is located south of Morganton, North Carolina. 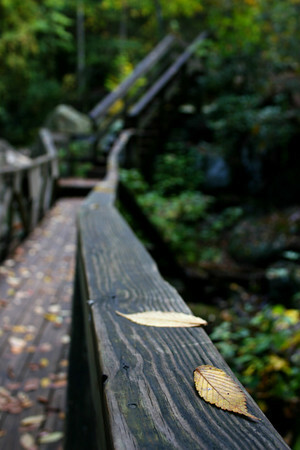 I have been fascinated by the park since my first visit in early 2007. 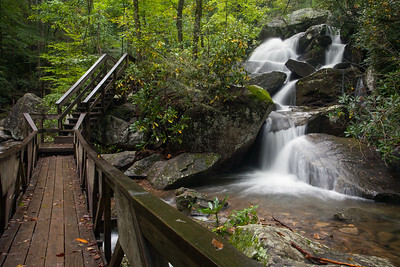 I visit the park on a regular basis and currently I am trying to hike every trail that the park has in an attempt to experience more than what most visitors see and do. 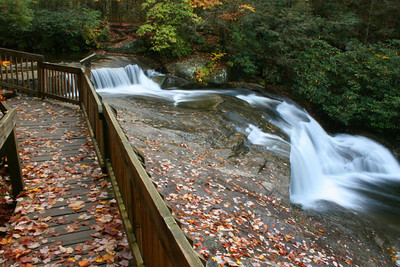 The main highlight for most visitors to the park is High Shoals Falls, a beautiful 80 foot waterfall. 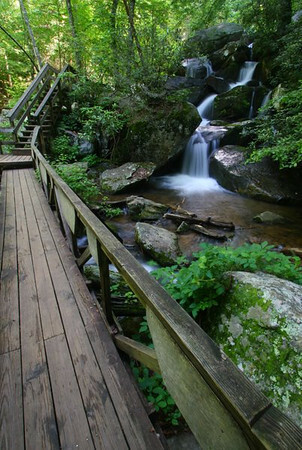 The park is also a popular spot to fish, mountain bike, and ride horses. 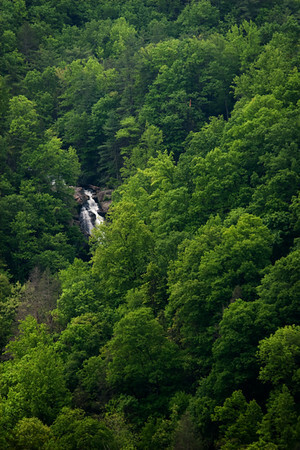 Other highlights in the park include Chestnut Knob overlook and Jacob Fork River Gorge overlook. 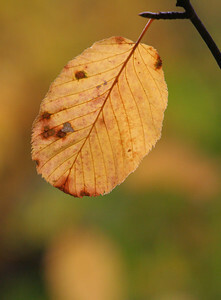 Leaves in a tree during the fall of 2009. 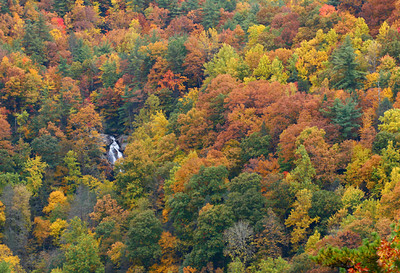 High Shoals Falls seen from the Jacob Fork River Gorge overlook. 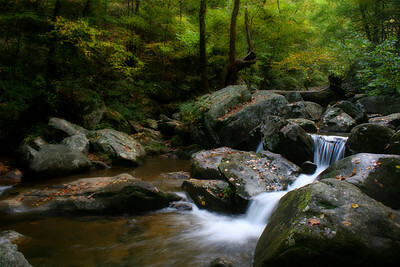 Just above the top of High Shoals Falls. 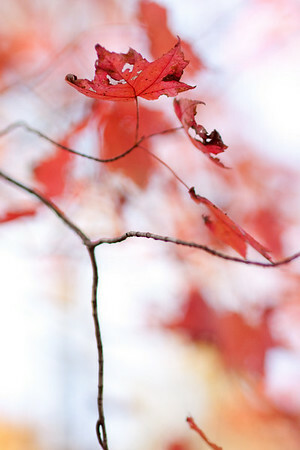 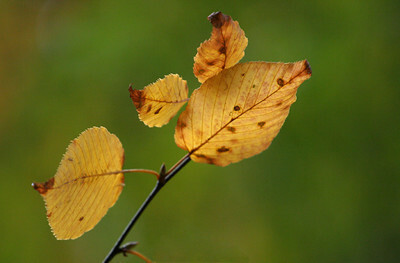 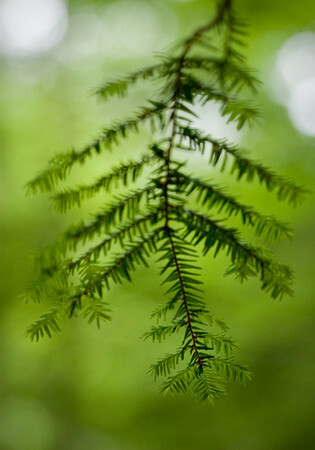 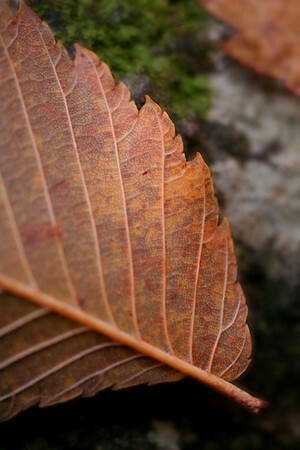 A close up of a leaf during the fall of 2008. 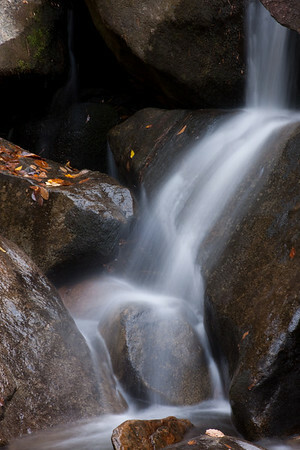 A small set of cascades along a stream in the park. 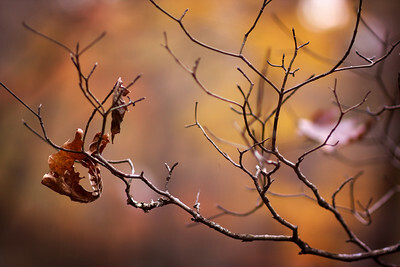 One of the last leaves on this tree, preparing to fall. 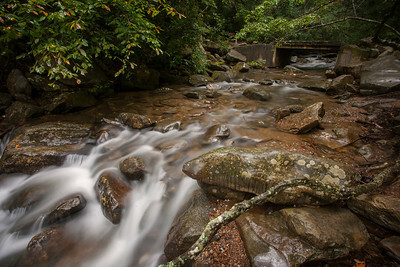 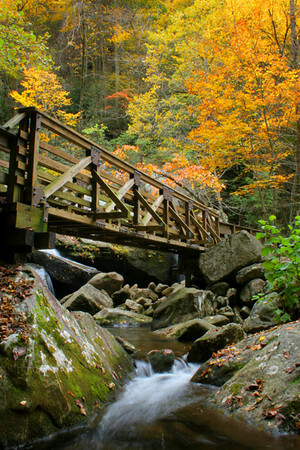 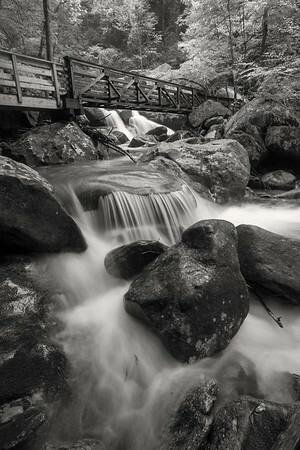 A bridge crosses over a stream near High Shoals Falls. 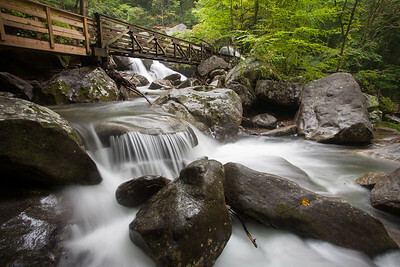 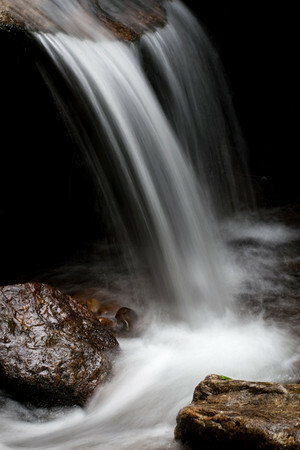 The sound of rushing water can be heard through out the park but at this spot it is hard to ignore. 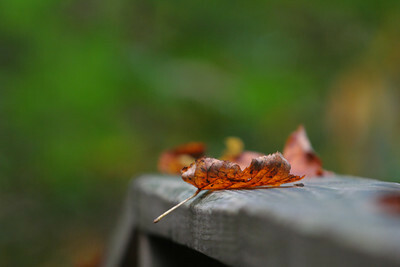 Leaves sitting on the railing of a walkway. 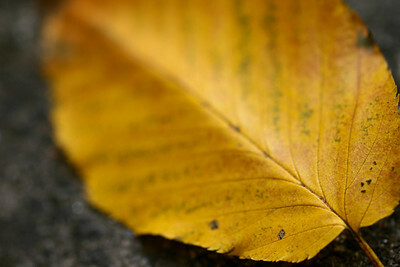 An autumn leaf sitting on a rock during the fall of 2009. 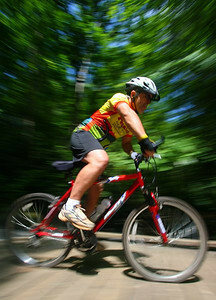 A mountain biker enjoying a beautiful summer day. 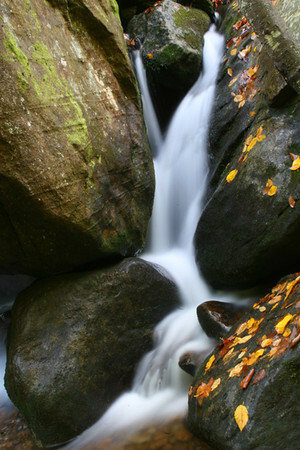 A set of cascades during the fall of 2008. 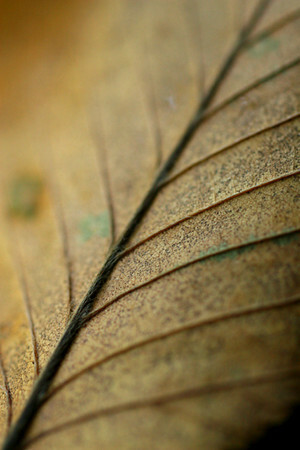 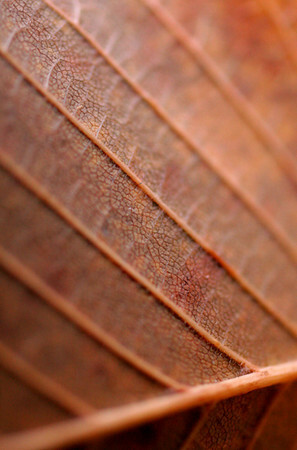 Close up of a leaf during the fall of 2009. 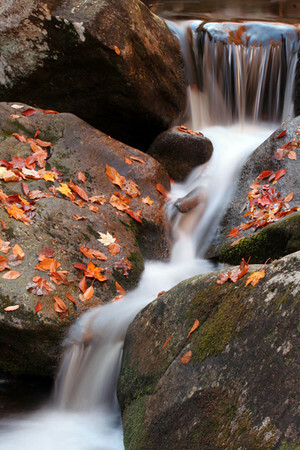 Looking up the stream during the fall of 2009. 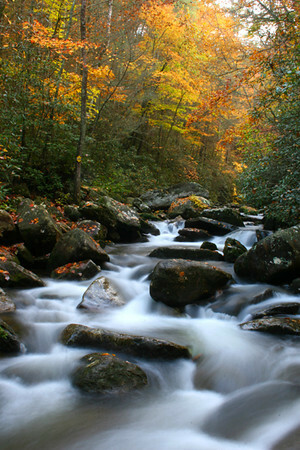 A small set of rapids during the fall of 2008.